Today a WBZ TV (channel 4) news team was scouring the State House in search of legislators working in their offices despite the fact that the day is a holiday exclusive to Suffolk County, “Bunker Hill Day”. 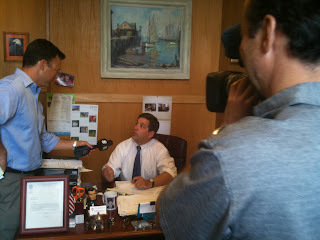 Since I am on the job today I had a chance to discuss the issue with WBZ’s Jonathan Elias. The interview provided me with an opportunity to discuss the unfairness of a holiday that applies to only a select group of people, and the ongoing efforts of Senate Republicans to remedy that unfairness. 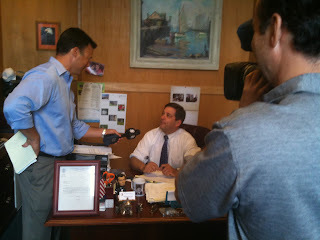 Please tune in to WBZ TV Channel 4 for tonight’s 6:00pm newscast to see the interview. 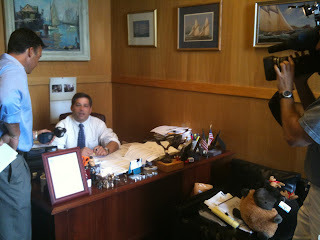 Please click here to view a recent report by WBZ TV regarding the issue.